Yacht Jeanneau 57 called Kurukulla was produced in 2010. We propose her from harbor Rogoznica in region Sibenik. Kurukulla is licensed for 10 pax. Layout of the sailboat is 10 (8+2). Jeanneau 57 Kurukulla has 4 cabins. For comfort of passengers there are 3 toilettes with showers. With engine 140 Kurukulla can sail really fast. Kurukulla is 17.78 meters long and 4.99 meters wide. Depth is 2.5 m. Look for different boats under this link: Yacht charter Rogoznica. Boat's equipment consists of : Towels, Heating, Icemaker, TV, DVD player, Teak cockpit, Bimini top, Freezer, Bow thruster, Wash machine, Bed linen, Outboard engine, Dishwasher, Anchor electric windlass, Inverter 12v-220v, Autopilot, Radio cd mp3, Gps plotter, Dinghy, Furling mainsail. . Nonrefundable caution there is 1000.00 EUR. Choose our offer and spend great time on the deck of Kurukulla. 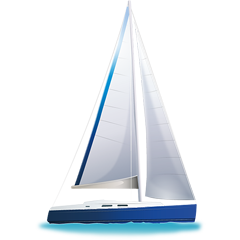 This Jeanneau 57 from Rogoznica from Croatia Analyze in section: Yacht charter Croatia.